The kind folks at ePayments.jp went out of their way to conduct tests and contacted me that my post reported incorrect information, I am very thankful they did so. The official Apple Pay Japan page lists iPhone 6, 6s and SE models as incompatible with transit and store purchases in Japan. There have been rumors that Japanese card issuers are investigating adding NFC Pay support but these remain rumors. I should have done a better research job before posting and apologize both for the error and any confusion resulting from it. With the NFC switching capabilities of iOS 11 Apple Pay Apple quietly activated Apple Pay Japan for older non-FeliCa NFC capable iPhones such as iPhone 6S. Surprised users with Japan issue cards that support JCB J/Speedy and Mastercard Contactless can add them to Apple Pay and use them at stores with EMV NFC-Pay ready readers. Japan issue American Express cards should be good too but I have not confirmed them in the field yet. Apple first added FeliCa (NFC-F) support last year for iPhone 7, iPhone 7 Plus and Apple Watch Series 2 sold in Japan. FeliCa is a faster form of RFID used in Japan, primarily for subway ticketing systems, where NFC A/B are too slow at busy stations. 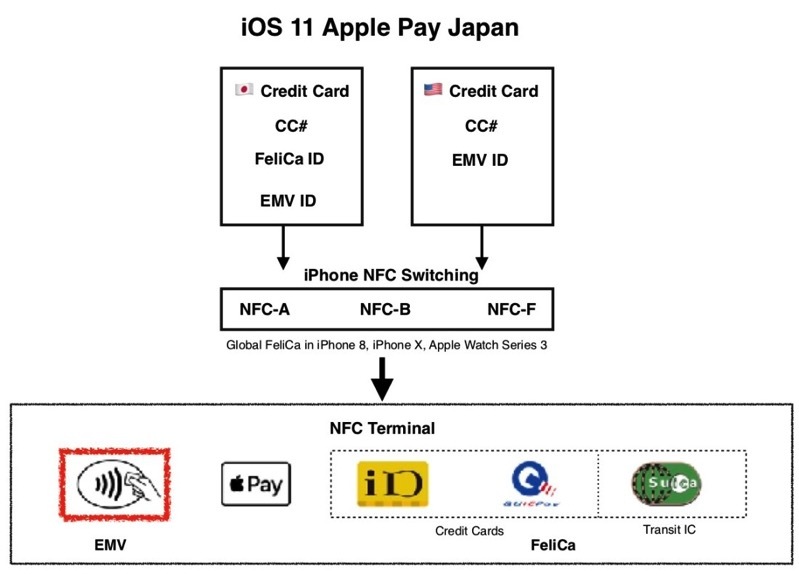 With iPhone 8, iPhone 8 Plus and iPhone X, Apple quietly implemented Global FeliCa (NFC-F) support for all of these devices sold worldwide, meaning anyone visiting Japan can now use their supported device for Apple Pay, such as the Japanese transit card Suica. 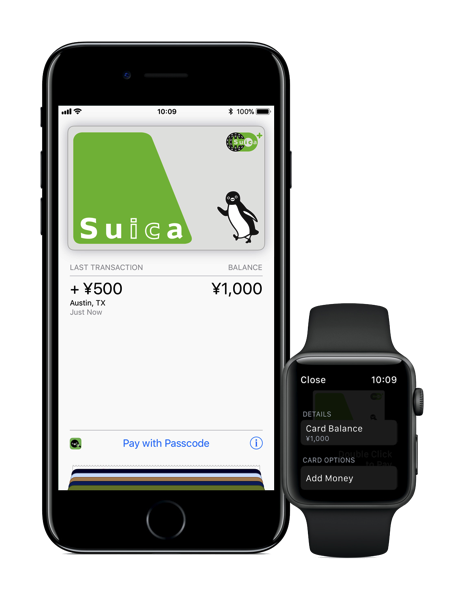 Apple documents how users can transfer a Suica card to Apple Pay, here. NFC switching in iOS 11 means Apple Pay now automatically switches between various NFC modes, to accommodate users based on where they are using the mobile wallet. This allows both Japanese iPhone users and visitors to the country to use Apple Pay seamlessly both inside and outside the country. If you’re visiting Japan, check out the guide by Ata Distance on setting up Apple Pay and Suica.